Health, Nutrition and Indigenous Medicine Minister Chamal Rajapaksa will assume duties at his Ministry in Colombo today (9), Health Ministry Spokesman said. Wasantha Perera assumed duties as the Health Ministry Secretary yesterday, the Spokesman said. New Health Minister Chamal Rajapaksa was Speaker of Parliament from 2010 to 2015. Previously, he served as Ports and Aviation and Irrigation and Water Management Minister. He hails from a well-known and reputed political family in Sri Lanka. His father D.A. Rajapaksa was a prominent politician, independence agitator, an MP and Agriculture and Land Minister. 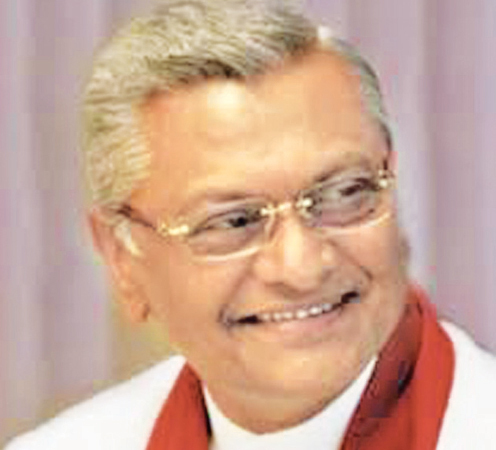 Chamal Rajapaksa is the elder brother of the former President and current Prime Minister Mahinda Rajapaksa.